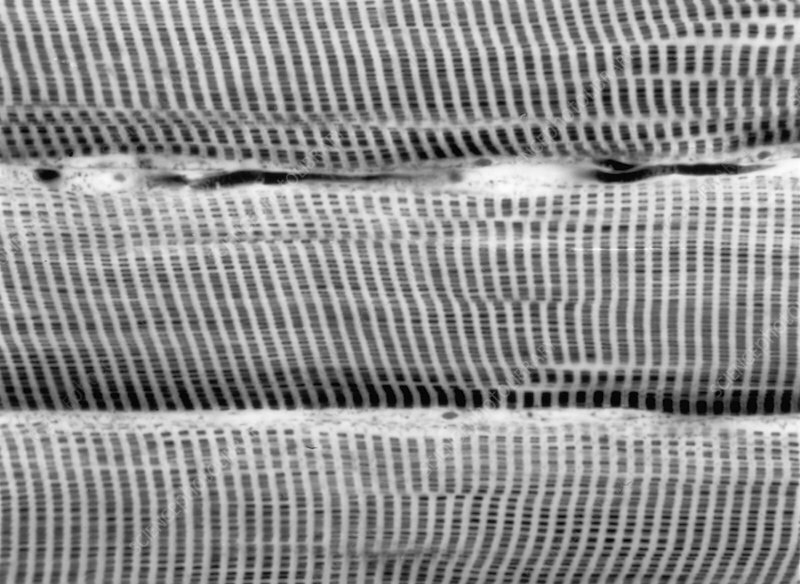 Photomicrograph of three skeletal muscle fibres, in longitudinal section. Preparation stained with iron haematoxylin to show the alternating dark A-bands and light I-bands. Light micrograph.